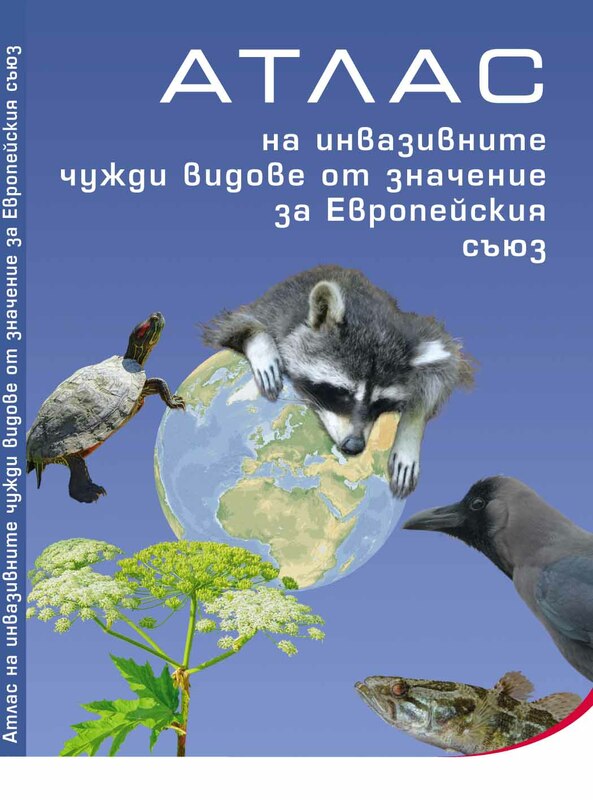 A Guide to invasive alien species of European Union concern has been published by ESENIAS and the Institute of Biodiversity and Ecosystem Research, Bulgarian Academy of Sciences. The Guide has been prepared and published within the project: 'East and South European Network for Invasive Alien Species – A tool to support the management of alien species in Bulgaria' (ESENIAS-TOOLS, D-33-51/30.06.2015), with the financial support of the Financial Mechanism of the European Economic Area 2009-2014, Programme ‘BG03 Biodiversity and Ecosystem Services’. The Guide aims to provide relevant information about the invasive alien species (IAS) of European Union (EU) concern in order to raise awareness and to facilitate the implementation of the Regulation (EU) No 1143/2014 of the European Parliament and of the Council of 22 October 2014 on the prevention and management of the introduction and spread of invasive alien species in Bulgaria. It contains information and original data from Bulgaria for 37 species included in the first list of IAS of EU concern to the Regulation adopted in 2016. The list includes 14 plants, 7 invertebrates and 16 vertebrate animals (2 fish, 1 amphibian, 1 reptile, 3 bird, and 9 mammal species). Of them, 6 species (Eriocheir sinensis, Orconectes limosus, Perccottus glenii, Pseudorasbora parva, Trachemys scripta, Myocastor coypus) have already been recorded in Bulgaria and in the ESENIAS region. The information for each species is presented in 6 sections: 1) General characteristics and biology (with data on taxonomy, morphology, diagnostic features and biological traits); 2) Origin and general distribution; 3) Distribution in Bulgaria; 4) Habitats; 5) Pathways of introduction and spread; and 6) Impact. The articles are illustrated with photos of each species. The Guide is designed for a wide range of readers, including scientists, teachers, decision-makers (ministries, agencies, national and nature parks, state forest and hunting farms, etc. ), managers, students, and the general public.